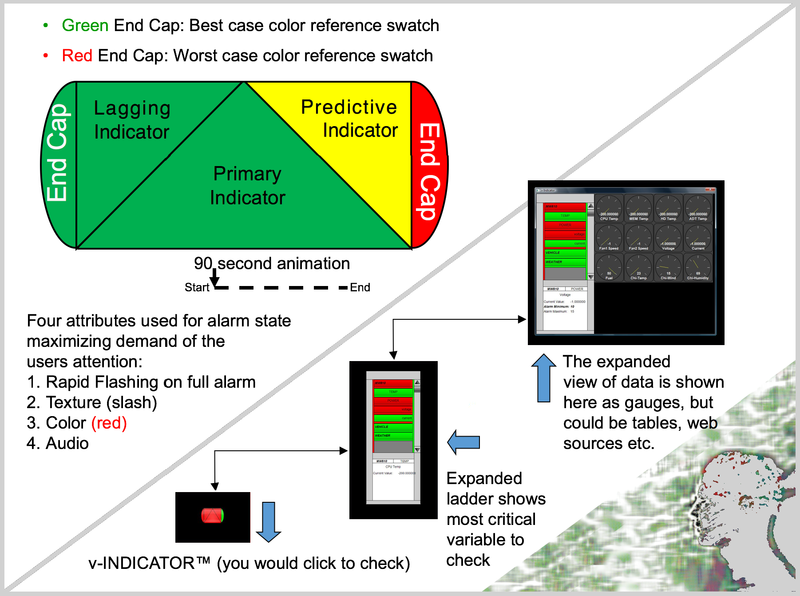 Information through patented and proprietary advanced visual indicators, heat maps and next generation alarms and alerts. TransLumen creates computer interface designs that show anomalies, predictions and allows drilling down to solutions. Any definable area can be a v-INDICATOR™, including heat maps, text and augmented symbols.